Can Big Data Bail You Out of a PR Mess? The Big Data wave has pervaded every digital space and the Public Relations industry is no exception. Whether the industry is ready to face the oncoming data tsunami is the million dollar question. To get a clearer picture, icrunchdata spoke to Sally Falkow CEO and Strategist at Meritus Media. Sally is a leading Strategist in digital PR, a 2014 Top 50 Social Media Influencer on Twitter, listed on the 2014 Top 25 Women Who Rock Social Media and she has more than 30 years of public relations experience. Sally, thank you for talking to us today about how Big Data is impacting public relations and which analytical tools will continue to evolve the PR space. In today’s data-driven communication ecosystem, what are the avenues PR pros can explore besides the typical publicity paradigm? The digital era has made it possible to truly communicate to and build relationships with your public. PR pros need to know how to gather and analyze data; discover who is talking about them; know what people say about the brand and the competition; do sentiment analysis; figure out the brand’s share of voice in a particular conversation; look for insights such as perceptions and positioning statements; identify influencers, opportunities, threats, competitive gaps, new markets, R&D opportunities, developing crises so they don’t escalate online and track and measure results. 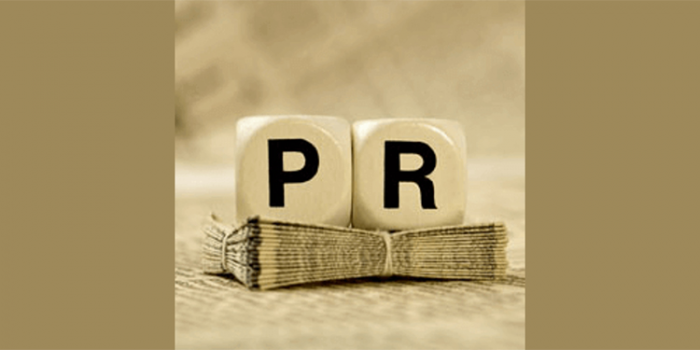 With regard to analytical skill sets, what are the challenges that PR pros face today? PR tasks in the past have required mostly creative skill, not analytical skill. Measuring outcome is a new concept for most PR practitioners. Gathering and analyzing data, and then using it to predict future content and campaign ideas is very new to PR. The field of search optimization, although it’s been around for 10+ years in the PR content arena, has not been adopted by the PR industry until recently. Most schools are not teaching data skills to new PR graduates. PR pros have to figure it out on their own. I just had an email from a young man in New York City asking me to please recommend books, blogs and other resources where he could educate himself on analytics, measurement and digital PR because neither the school he attended nor the PR agency where he is interning teach these skills. How do you think the above mentioned challenges can be handled? Every school that teaches PR should include courses on how to gather, analyze and use data. It should include how to use the tools necessary to do a social audit. Students should have to do a practical social audit and show that they can actually discover actionable insights a business can use to further their goals. They should include analytics programs like Google Analytics that is free with a PR Dashboard, so that PR pros can track and measure their activities. Courses should be available via PRSA and other providers, so that PR pros already in the market can easily learn these new skills. The courses need to be taught by someone who understands both PR and the data side –otherwise it doesn’t produce a result. Can you give us a real-time example of how big data has helped in reputation management? Big data can be exceptionally helpful in rep management. You can predict where a crisis might erupt so you can avert it and a great example is the case of Progressive Insurance. One hour of data gathering and a social audit would have led them to the conclusion that the possibility of a PR mess was very probable. Since I can’t reveal the names of clients that we do reputation management work for, I can only cite an example of a client in the green energy space for whom we did the following: determine the source of the negative content; discover what their agenda was; listen to conversations about the company, their competitors and the EPA actions against the company; find the sentiment about the situation; identify influencers who would support their position; provide content that entered the conversation and changed the perception of the company with influencers in the space; used our knowledge of search engine optimization to clean up the search results. Some tech people are calling Big Data a mere hype with no real economic value. Your reaction to it? If it is just collecting Big Data for the sake of data and it does not get analyzed and used, it is a waste of time. I’ve seen many companies and agencies use tools like Radian 6 or others, but they don’t understand how to use and apply the information. It becomes a check mark on a list – yes we do that. But they don’t actually use it. I’ve had several clients who came to me precisely because they have mountains of data but don’t know what it means or what to do with it. So a successful PR practitioner has to be an equally right brain/left-brain person, as well as 50% strategist and counselor and 50% data specialist. Sally, thank you for talking to us today to discuss the impact of Big Data on the PR industry and what companies need to do to embrace the evolution of analytics within their organizations.